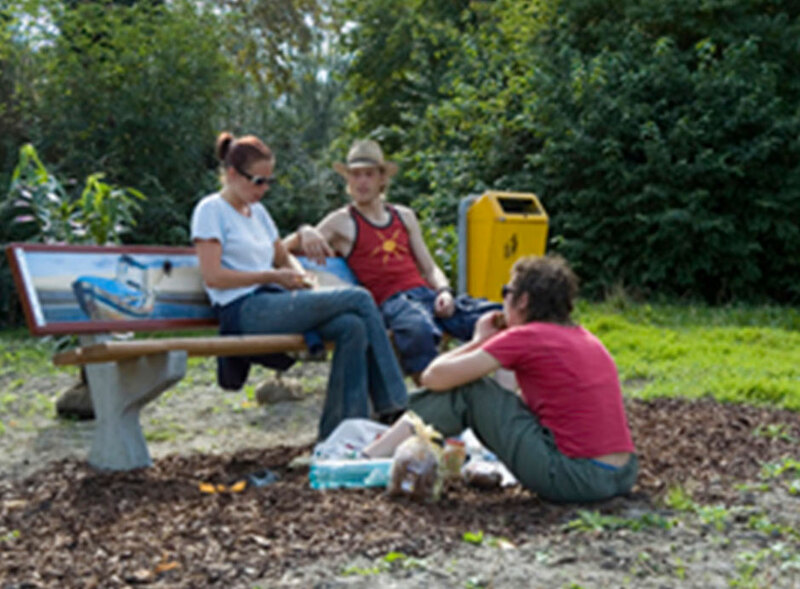 The Housing corporation Havensteder asked us to design a welcoming public space for the renters in the Norht part of Rotterdam. 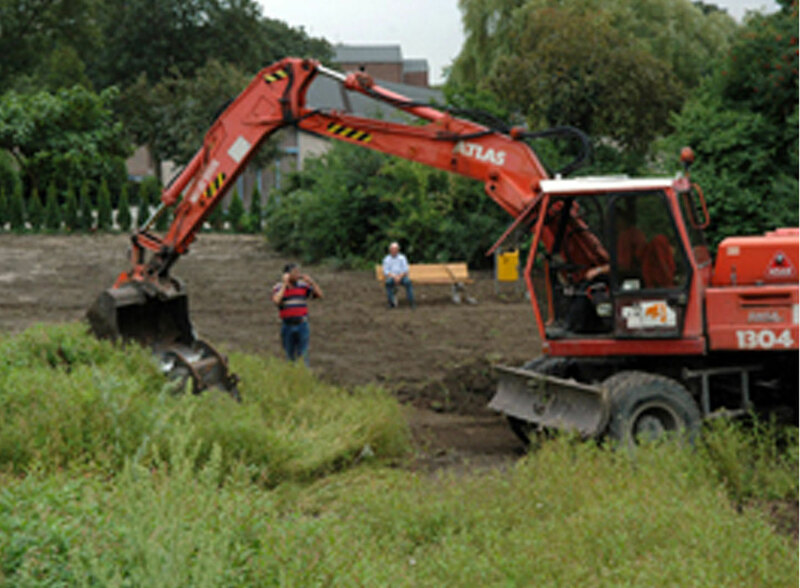 There are many construction plots in the Netherlands, the process of construction can take much time. In this time the area has no purpose, it is simply left empty. The Silenepark is one of doe’s plots, due to delay the area became empty for 1.5 years. Studio ID Eddy took this opportunity to create a temporary project. The project ‘Silenepark’ came to life after we listened to the voice of the neighborhood: ‘Having a temporary park is an important desire of us, if we don’t find a destination for the construction plot it will become a frustration, a daily reminder of an empty construction plot’. 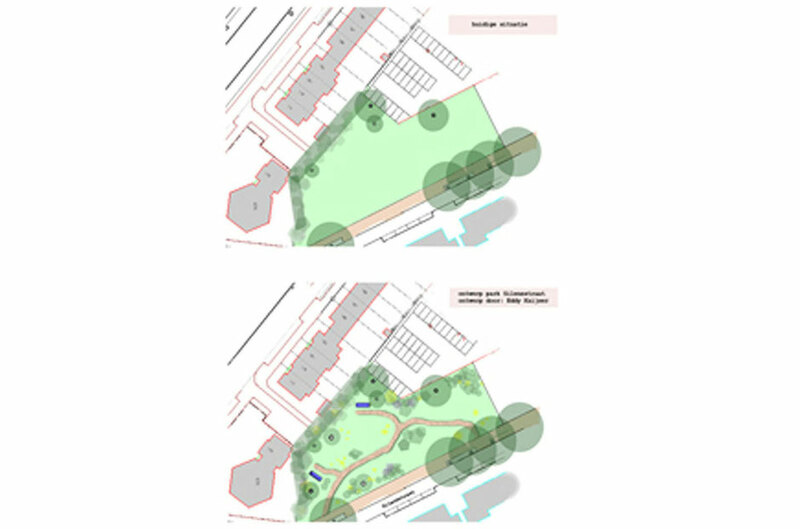 We created a plan for the park that is welcoming, that accommodates the neighbors and makes them interact. The plan for the park is inspired by organic forms and colorful patterns. The garden is divided by paths flowing through the park naturally, the plants are organized in patterns that creates contrast in color and shapes. The lay-out of the park is designed to create meeting points. 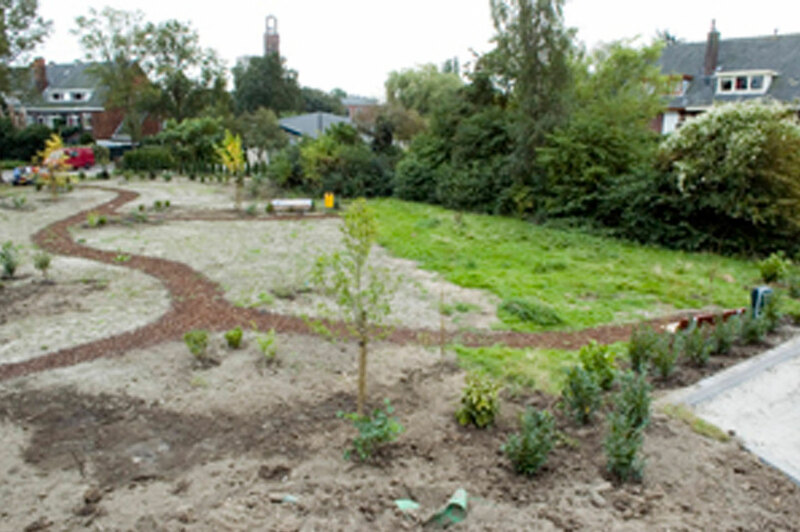 The openings between paths and garden area’s allowed us to create the project ‘art bench’. 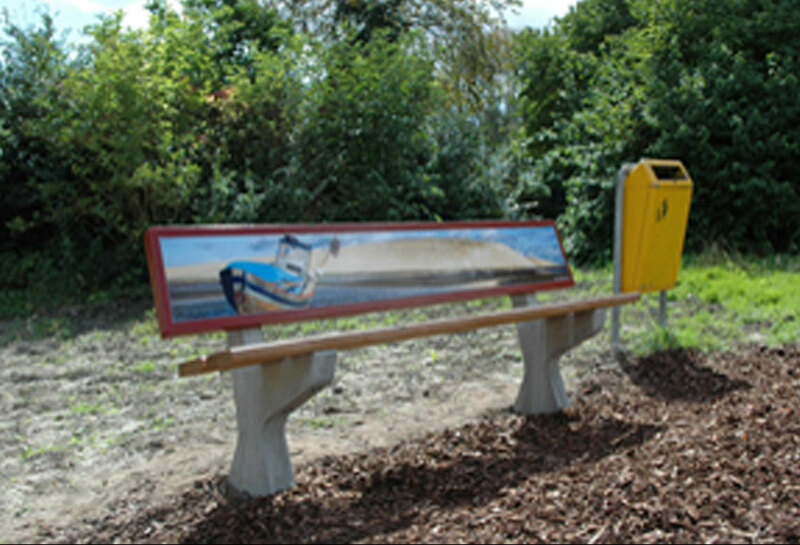 The art bench started as a standard bench to make people meet and relax in the park. We presented the plan to the neighbors and realized they want to have a say in the further design of the bench. The bench for now functioned as a seating place alone, but we wanted the bench to be more than that, the bench can contribute to the esthetics of the park. The empty space on the back of the seat is ideal to function as a canvas for art. We found artists that were willing to contribute their art to the art bench. Soon, we had a variety of art pieces that potentially could be used on the bench. We gave the neighbors the choice; which art do they like for their park? The neighbors were very enthusiastic when we asked for their opinion. We took the top rated art pieces and used them for the art bench. The people of the neighborhood will remember their collaboration every time they visit the Silenepark. Studio Id Eddy believes that involvement in projects will build a feeling of co-ownership and harmony amongst the inhabitants of a neighborhood.